When your work and personal worlds collide! 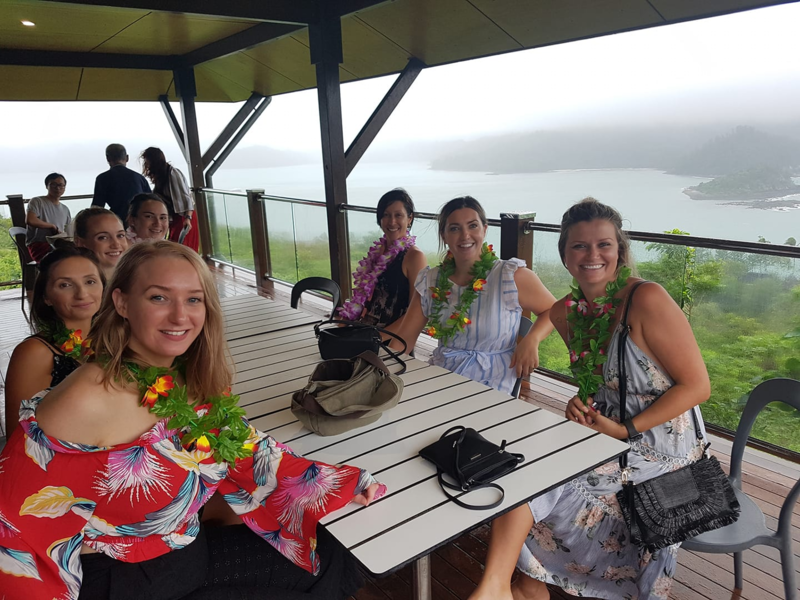 You might be thinking this will be a story about work life balance and whilst I’m a huge believer and advocate of finding your own personal balance between your personal world and your work, this story is far from that. This is a story about love. 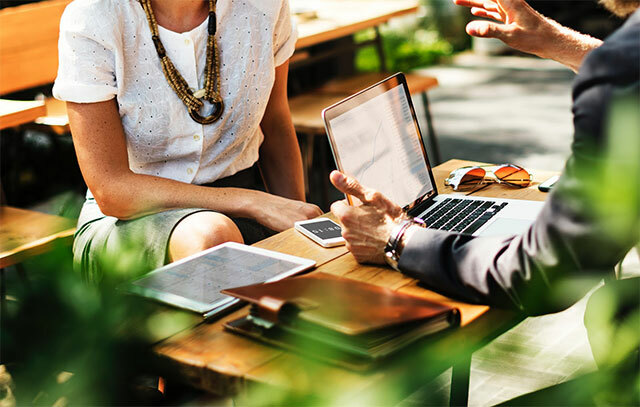 It’s about a corporate desire to give back to those in need and to build a sustainable relationship with a well known charity organisation in order to make a difference. But caught in the middle was my heart, a lot of tears and a sadness I still feel today writing this blog. 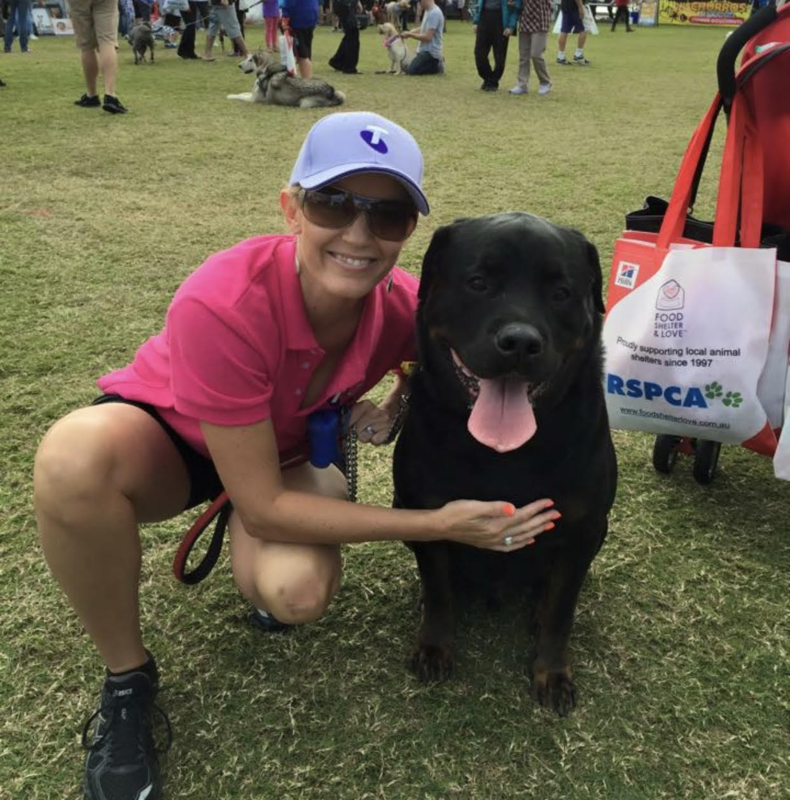 Around October last year my Group Marketing Manager and I came up with an awesome plan to engage an organisation who have the same deep love of animals that we share, the Animal Welfare League Queensland (AWLQ). We were determined to give back to this amazing community organisation and in doing so, build a sense of pride within our people and also with our customers. 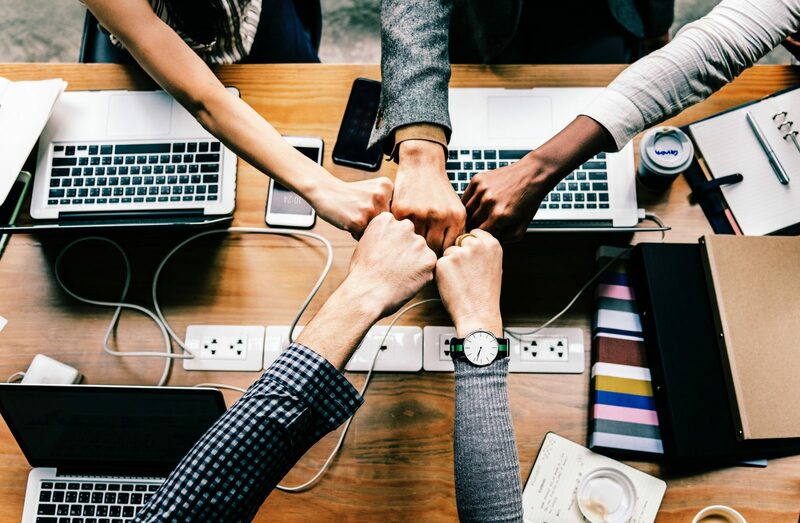 The idea was simple, when a customer came into one of our Telstra stores (Burleigh, Helensvale and Harbour Town), we would offer them a free account review and in return we would donate (on their behalf) $2 to the AWLQ. We contacted the AWLQ and they were elated with the idea. With the help of their fundraising manager Rebecca we were able to expand the Christmas campaign adding a host of exciting events for our employees and our customers to love and enjoy. We got into planning mode and what better way to bring a ‘giving campaign’ to life than that of using our very own fluffy family aka our animals. I can’t tell you how excited I was at the very thought. 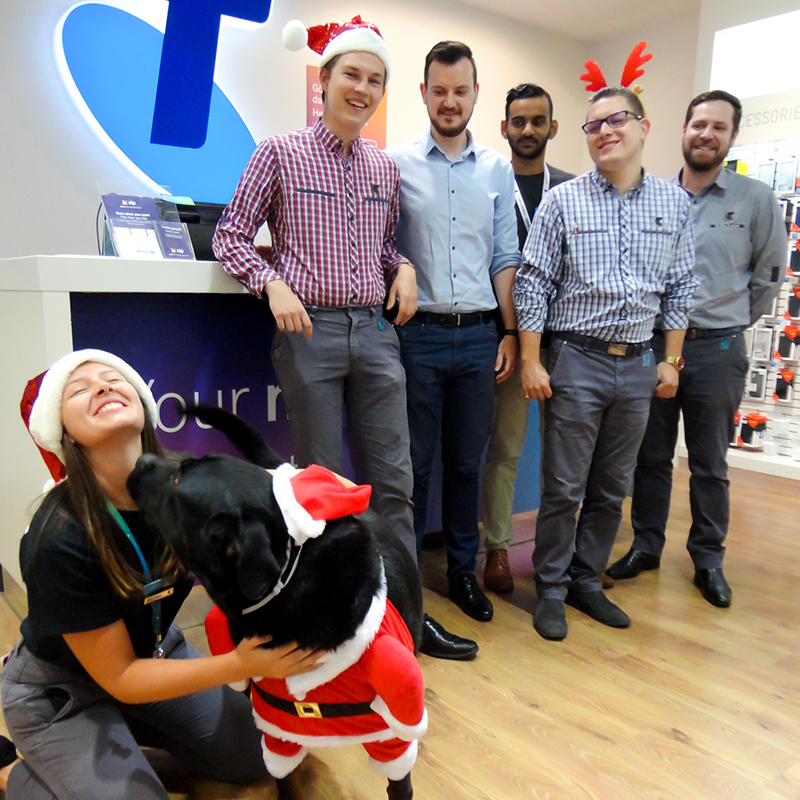 Each of our three stores had a pin up poster animal and our beautiful dog Bear was the pin up boy for Telstra Store Burleigh Heads. 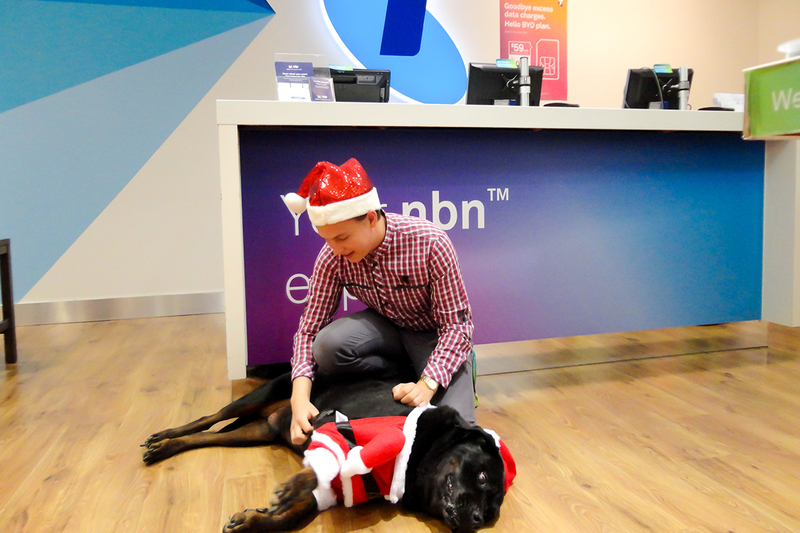 We got him dressed up in a Santa outfit and took a whole heap of photos in store one morning. Now as a Rottweiler you can imagine taking him into a shopping center for a photo shoot would have looked. It was quite the sight! Although he seemed to simply strut his stuff, if I’m honest and as his mum, I was proud as punch. The campaign was coming along beautifully with our launch planned for 1st December. But on a hot Sunday afternoon at the end of November my pin up boy seemed to be unwell and really struggling. You see Bear was 10 but he was fit as a fiddle, so when he was showing strange signs of pain and discomfort, it was off to emergency for us. By Wednesday 28th November my hubby and I were sadly sitting on the floor of our vet having to say goodbye to one of the most special pieces of our world. We tried everything to hold onto him but unfortunately and very sadly for us, and our beautiful kids, the universe had other plans which was to take him to a better place. So two days out from launching a campaign I was so proud to help create, build and execute, ended up being one of the toughest initiatives I’ve ever had to be part of. Bear was not just a pet or part of our family, he was our best friend, the protector of our children and the unconditional love waiting for us all to come home at night and who missed us when we left in the morning. He is deeply missed and whilst the sadness has eased slightly with time, the emptiness remains. Like I said this is a story of love. For the entire month of December we raised more than $4002.75 for the AWLQ, which has been able to help fund the new air-conditioning system in their Gold Coast Rehoming Centre. A place where their adoptions are made and where animal loving community members can buy their pet supplies. Our people and our customers enjoyed puppy cuddles at more than six events across our three stores and we promoted my boy Bear in store, on flyers, in social media and more. The AWLQ was exceptionally supportive too which I’ll never forget. The moral to this story is that in all the pain of loss there is always love. A love of our boy, a love of giving back, a love of working with charities like the AWLQ and a complete love of working for an organisation like HTG, who allow us to help and be part of something so special like animals in need. I will be proud of this initiative forever and even more so proud of the fact that my angel Bear got to be part of sharing the importance of the role the AWLQ play in the welfare of animals everywhere. Your candle burns bright every night Bear. The thing is, your personal world and work do and will collide in the most interesting ways at times. The point is to never stop thinking of creative ways to give back to those in need and to be the person to make the change that’s needed in the world. 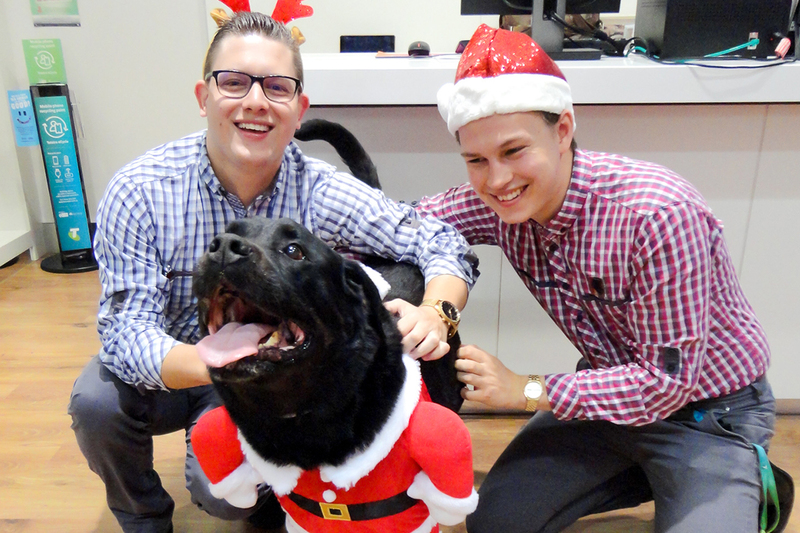 Watch the video why Stevie Peers in HTG Software was excited about the Pawfect Gift Campaign. To donate to the Animal Welfare League Queensland, visit their their website.